In addition to strengthen the bones, getting enough sunlight may also reduce stroke risk, a new research suggests. “We heard a lot about how the sunlight may be bad for our health, for example in terms of skin cancer. But this study indicates that there may be some positive effects associated with exposure to sunlight,” said led researcher Leslie McClure, a professor of biostatistics at the University of Alabama, as reported in Healthday News. To explore the possible connection between the sunlight and stroke, researchers analyzed data collected from an ongoing study that involved more than 30,000 black and white people aged over 45 years. The team focused on approximately 16,500 of those participants, which none of whom had a history of stroke or heart disease when they were enrolled in this study. The study took place between 2003-2007. All participants had underwent physical exams and had completed questionnaires about their medical history and places they had lived in the past. 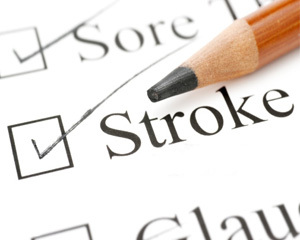 Over an average follow-up for 5 years, 351 of the 16,500 participants experienced a stroke. The results showed that those who getting low amount of sunlight had a 1.6 times greater risk of stroke than those who getting enough sunlight. The team also found evidence that those who lived in areas with cold climates had a higher risk for stroke as well. “We still do not know what exactly the relationship between sunlight and stroke. There are a lot of hypotheses, further studies are needed to reveal the possible mechanism behind it,” cautioned Prof. McClure. Presumably, low sun exposure areas have low levels of vitamin D and the low levels of vitamin D have been associated with higher risk for stroke. Other studies also revealed that people who consume more dietary vitamin D had a 11% lower risk of experiencing a stroke. Prof. McClure and her colleagues will present this findings on Tuesday at an American Stroke Association meeting in New Orleans. The research presented at medical meetings should be considered preliminary until published in a peer-reviewed medical journal.